Struggling to find my blogging and reading mojo, I knew it was time to call in the "big guns." Yep, I needed a "comfort read." A story I knew I would be able to fall into. I basically needed the romance genre version of "turn on, tune in, drop out." Not that the genre should be confused with psychedelic drugs - but you get my drift. 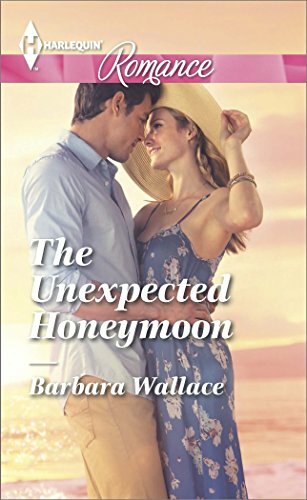 The Unexpected Honeymoon by Barbara Wallace has been languishing on my Kindle for a while and I thought it would fit the bill nicely. The first book in this trilogy is going to make my Best of 2014 list, I obviously like Wallace's writing and it's a Harlequin Romance. That line is the very definition of "comfort" for me. I started reading and fell right in. Larissa Boyd was supposed to get married. Then her groom left her for another woman. On his way out the door he made sure to get in a parting shot. He accused her of caring more about the wedding than him. A truth that stings since Larissa's own friends had "jokingly" referred to her as a "bridezilla." Raised by a seamstress grandmother, surrounded by wedding gowns, bridesmaid dresses, prom dresses, and growing up the "pudgy" girl in straight teeth, big-hair blonde Texas cheerleader country - Larissa has dreamed of having her one moment. That fairy tale wedding moment. She wants a perfect memory. That doesn't make her bridezilla, does it? Now she's in Mexico, at the exclusive resort where she was supposed to get married. And instead of a groom, she's got a bottle of pricey champagne thanks to her well-meaning friends who talked her into making the trip anyway. A whole bottle of champagne and a healthy dose of self-pity. Oh boy. Meeting her while she's three-sheets to the wind is hotel general manager Carlos Chavez. Not only does his family own La Joya del Mayan, but a whole string of hotels. Think of them as Mexico's version of the Hiltons - just without blonde daughters who carry tiny dogs in their oversized purses. He's new to this particular location thanks to the former general manager making a muck of things and running off with their on-site wedding coordinator / events planner. Adding insult to injury, they left a mess in their wake, and it's up to Carlos to clean it up without bad press (and bad reviews) falling back on the resort. Which is how he comes into contact Larissa. We've all read versions of this story before. The honeymoon for one, the unexpected chemistry, the brooding, haunted hero and the heroine who is making lemonade out the bag of lemons. 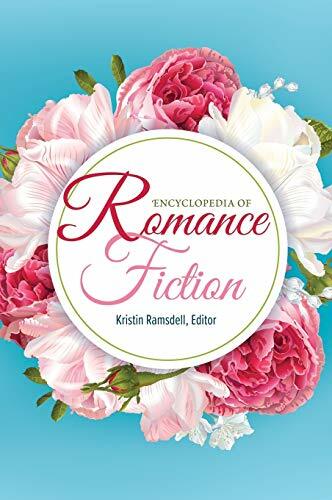 However as any romance reader worth her salt will tell you, it's not the familiarity of the story, it's how the author puts their own spin on it. Wallace does some very interesting things with her characters. For one, Larissa has to face some hard truths. She's not a heroine who chalks this experience up to 1) I'm right 2) he just didn't "get" me. No, she really looks at herself and faces the music, as it were. Her wedding obsession, her need for her fairy tale moment, all that stuff. Larissa looks at herself and realizes that just maybe she's been chasing all the wrong things for all the wrong reasons. Carlos is your typical brooding romance hero with a tragic past - in this case, a dead first wife. A wife he was crazy in love with but whom he failed to make "happy." It's hardly a spoiler (assuming you can read between some pretty broad lines), that the first wife had mental health issues, specifically depression. There will be some readers who may feel that this woman is demonized. And to a certain extent, she is - by Carlos. There's a couple of moments in the story where he muses that she bled him dry and you realize just how angry he is. Loving someone with depression can hardly be categorized as "easy." Readers see Carlos dealing with that aftermath. You accept that her depression is not her "fault" - but you also can understand how Carlos came to be so angry. But hey, consider this long paragraph your trigger warning. What you're waiting for in this book is the Pay Off. That tipping point when the emotional blood, sweat and tears start staining the pages. And let me tell you, it's a doozy in this book. You know that saying about hurting the ones you love? You know how it's always the people you love most who can say the things that will hurt you the most? Oh man, this. As the conflict comes to a head, those scenes between Carlos and Larissa, the words they say to each other - they rip the reader's guts out. I'm pretty sure I could actually see Larissa's heart breaking right on my Kindle screen. It's that emotionally gut-punching. I could have done without the syrupy epilogue at the end, but given that this is the final book in a trilogy that was probably inevitable. Still, it's a good solid read by an author who consistently delivers for me. It may look, feel and seem like the "same old story," but it's the author's emotional spin on it that makes it her own. I'm so glad you found a "happy place" book. My this be the start of a good reading run. I'm very glad--seriously and honestly glad--you found your comfort read, and it's always a treat reading your reviews. 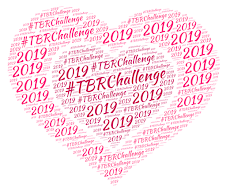 Sadly, I'm going to skip this one--whenever I see a Mexican main character who just happens to be rich, and brooding, I get flashbacks to the 80s and the fetishization of Latin lovers in the many translated categories romances I read back then. Lori: I hope so. I'm on to a suspense title right now that I'm sucked into. Just need to carve out some reading time. The "Latin lover" thing is really minimal here. I thought the author did a good job of painting Carlos as a man, his own person, and not some suave, debonair stereotype. The only time it really creeps in is when the heroine muses how good-looking he is - but that's more about her insecurities (what would a guy who looks like that see in a girl like me?) than any fetishization on her part. Oh, I read one Wallace, THE HEART OF A HERO, thanks to you and loved it. Great review: glad to see you reading and relaxing and enjoying! Miss Bates: The first book in this trilogy, The Man Behind The Mask, is REALLY good. Highly recommend that one if you're interested in reading another Wallace.